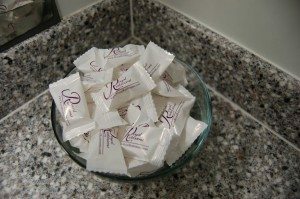 It may not be a common occurrence for just any mobile restroom service to receive rave reviews after a wedding, but in the case of Royal Restrooms, it’s not surprising at all. 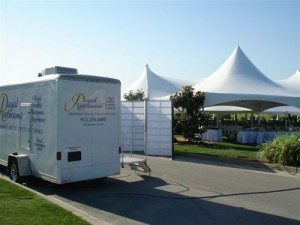 The owners/operators of Royal Restrooms of Washington pride themselves on repeatedly earning five-star ratings from brides, coordinators, and event guests for delivering the best in luxury mobile restrooms and shower trailers backed by superior service. Overall ratings apply to the categories of Quality of Service, Responsiveness, Professionalism, Value, and Flexibility. “Wow. I mean WOW. These ‘Royal’ portable restrooms went so far beyond our expectations! They were beautiful, peaceful, serene, smelled GOOD (and not just that smell used to cover up other smells! ), toilets flushed, there was a real sink, and lights, and mints! It was amazing. As much as I would like to believe the flowers, food, my DRESS, and the music would stay in our guests’ memories, it looks like it was the bathrooms! It’s the #1 thing our guests have talked about. Amazing!” – L. Vashon, WA. “INCREDIBLE!!! …Ceramic toilets, granite counter tops, running water, soap, towels, flowers, mirrors, enough room to have 4 girls get ready for a rehearsal dinner, bright lights, and AC. … They [Royal Restrooms staff] were so helpful and accommodating and handled everything the same-day and were sweet, understanding, and very flexible. Reading through other reviews, it is true, the guests are still talking about how amazing my bathrooms were!” – Alejandra Fox Island, WA.